Camiguin Island is what vacation goals are made of. Green jungles to explore, white sand beaches to play on, turquoise water to splash around in, waterfalls to discover, volcanoes to hike, food to devour and more. Best of all, there aren’t too many tourists here to get in your way! Just off the coast of Bohol, Camiguin is still relatively low key on the backpacker circuit. This means more competitive prices, less jaded locals, and plenty of space for you to be alone with the natural beauty of this island. Of course, you’ll be sharing space with almost 90,000 locals who live here, work here, and welcome you here. 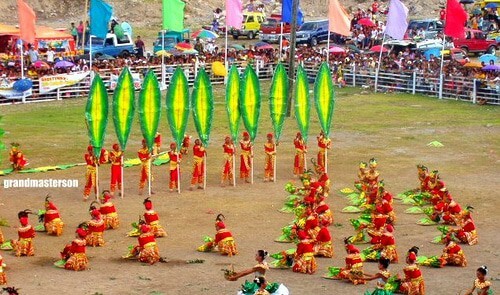 The economy on Camiguin is strongly focused on fishing and farming. That means you’ll get some great eating done here with all the fresh fish and mangoes you could ever want. You can get here from both Cebu and Manila with a quick flight. After that, a little bit of ground transport via bus, van, or taxi then one ferry boat ride- and you have arrived! 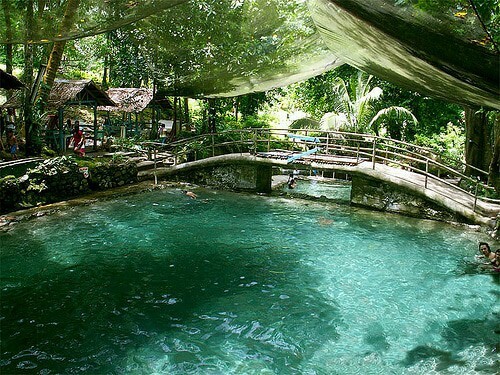 From the Disney-esque jungle trail to the Ardent Hot Springs themselves, this oasis in the middle of the jungle is a must-do in Camiguin. Take a dip in the warm spring where you’ll be surrounded by mossy rock and lush jungle greenery as steam rises out of the water. The spring is fed by a natural waterfall that is heated by nearby volcanoes, making perfectly warm bath water. You can climb and sit under the waterfall for a nice shoulder and back massage. The hot spring is huge so you won’t have to worry about sharing space with strangers! There is also a cold pool if you’d prefer to cool off. Sto. Nino Cold Spring is essentially a swimming hole in the middle of the jungle. This manmade structure is fortified with cement floors, walls, and steps- just like a pool. But the water comes from a natural source deep in the ground. It’s the best of both worlds with no chemicals to harm your skin. Float in an inner tube, go down the little water slides, dive off the sides, or let fish eat the dead skin on your feet. It’s a super refreshing way to cool down during the hot island heat waves. Sto. Nino Cold Spring is owned by the resort, but happily allows visitors for a small fee. Near the Sto. Niño Cold Spring Resort is Tuasan Falls, the most popular waterfall destination on Camiguin Island. Tucked away amidst unspoiled jungle, the jeepneys can only drive so far. You’ll be dropped off an easy 5-minute walk away from the falls with an clear path to follow. As you approach, you’ll see a bed of big boulders and small rocks that you’ll climb and hobble over as you make your way to the waterfall basin. Take a dip in this cold pool as you look down stream where the water rushes off making a small river. It’s serene, it’s quiet, and it’s a memory in the making. 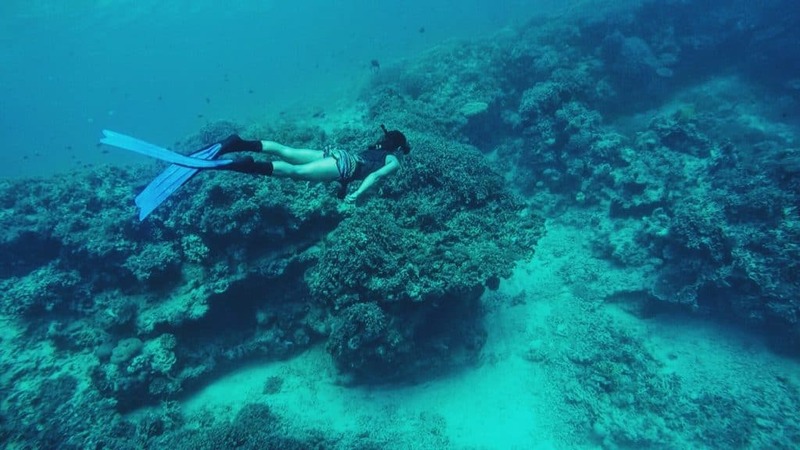 If you’re a diver or have ever wanted to learn how to dive, then you mustn’t pass up the opportunity to experience this incredible dive site in Camiguin. Burias Shoals is a natural reef paradise like you’ve never seen before. Instead of one flat bed of coral on the bottom of the ocean floor, this reef is sprawled across slopes and steep walls where large communities of colorful fish swim all day. 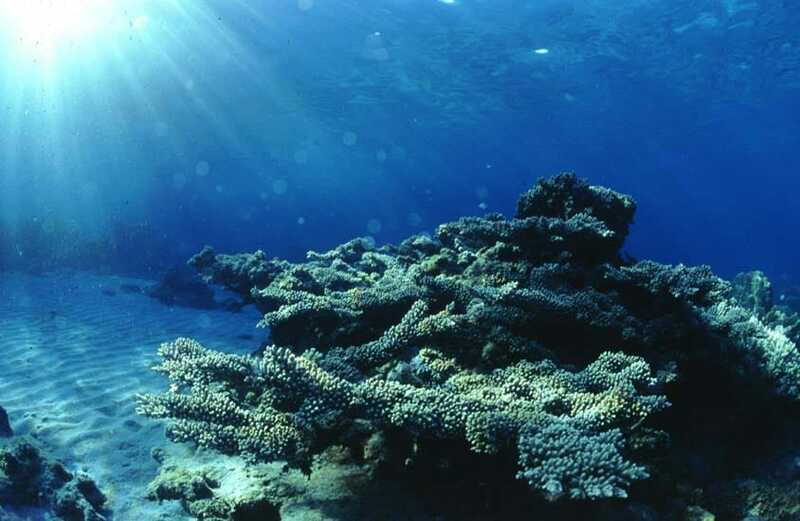 The black, yellow, red, and white coral varieties create a colorful wonderland everywhere you turn. Look closely and you’ll see camouflaged wildlife like snappers, clownfish, tiger fish, puffer fish, eels, crabs, and more. Hikers come from all over in attempts to climb Mt. Hibok Hibok, also known as Catarman Volcano. This active volcano is part of the Pacific Ring of Fire and has a history of eruptions that once wiped out a whole community. If you want to hike, you’ll have to first apply for a permit from the DENR office in Mambajao (a tour office can sort this out for you). 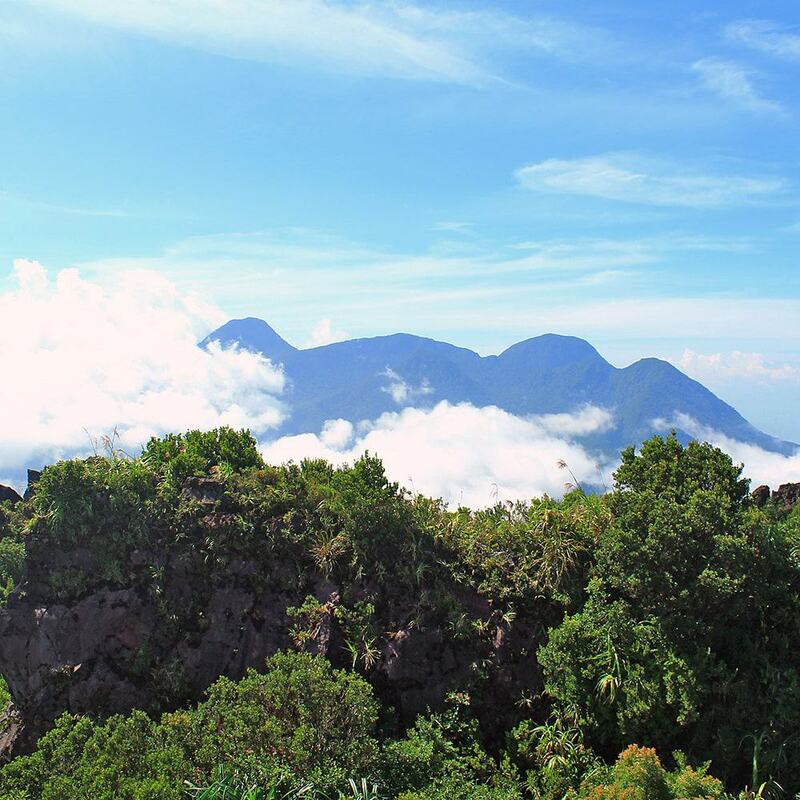 To reach the summit, you’ll hike 3-5 hours and be rewarded with amazing views of Camiguin, as well as neighboring islands such as Bohol and Siquijor. There are also 6 hot springs on the mountain with hot and cold pools to relax your tired muscles. A less intense but equally interesting hike to choose is on Mt. Vulcan. This ultra religious country loves anything to do with Catholicism and therefore the hike here is called Stations of the Cross and introduces you to 14 Roman Catholic Stations of the Cross. Basically, these are 14 events that happened when Jesus was crucified that you will see during your hike randomly placed in the forest. It’s quite interesting. There is no permit needed for this hike. It’s a leisurely day hike that will take around 1 hour or so. You’ve never experienced anything like swimming in a pool of bubbling, fizzing soda water like you’ll find here in Camiguin. You can thank the volcanic springs of Bura whose natural activity creates this sparkling water to create pure pools in which to swim, dive, and horse around. No matter how much you love soda water, just don’t try to actually drink the water. There is a little picnic area and a place for you to grill. Come spend a day at the foothills of Mount Hibok-Hibok at the soda water park. Free Diving incorporates exactly that: being free. Without tanks, gear, or fear, you learn to dive deep in the ocean, holding your breath and experiencing the world around you in its purest form. You are totally part of the underwater world when you free dive. 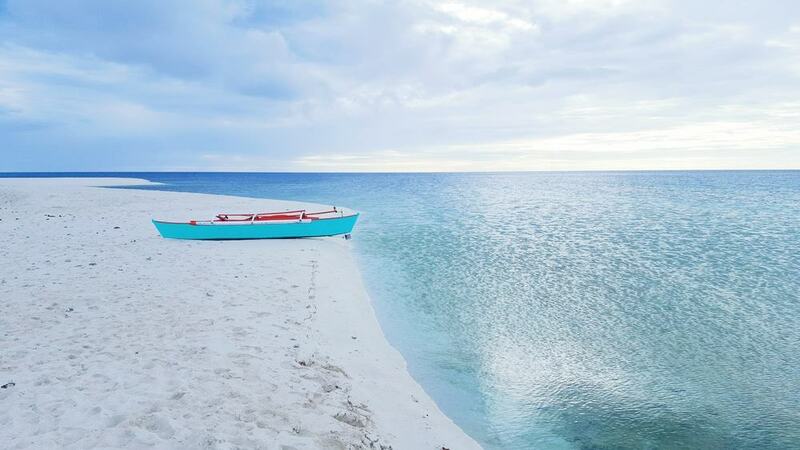 If this idea is something that calls you, give it a shot on Camiguin Island. Kurma Free Dive School has got a great reputation for guiding first time free divers through the whole process gently and safely. Does this whole idea sound scary to you? You’re not alone. Most people who enter into these lessons have the, “I’m not so sure about this” attitude and are always pleasantly surprised to discover their abilities are way better than they thought imaginable. 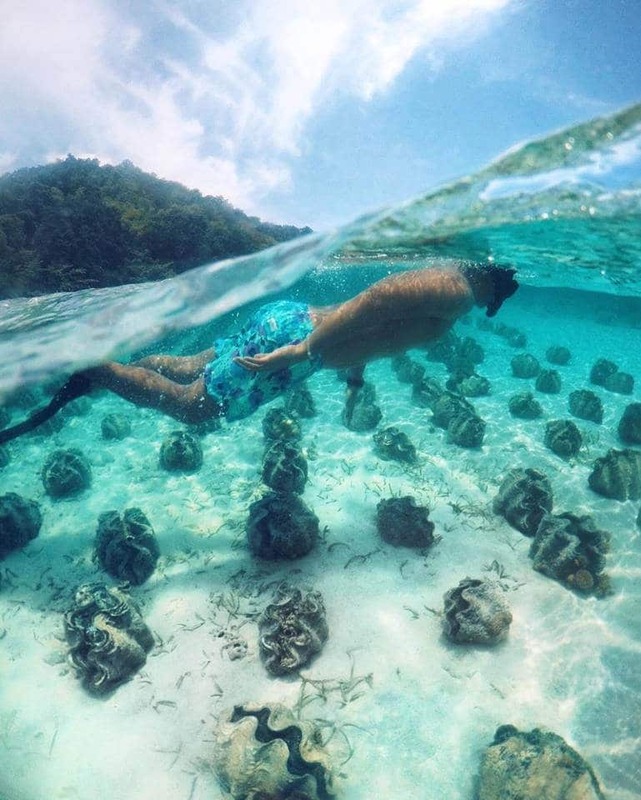 Kaliba Beach is home to a Giant Clam Conservation and Ocean Nursery where 2,600 clams are thriving. There are 9 different species of clams on this earth, 7 of which you can find here. Get in the water where you’ll find rows of clams lined up like little underwater soldiers as far as you can see. With the assistance of a guide, you can pick up a giant clam to have a closer look. It’s a really educational day and an odd once-in-a-lifetime experience you won’t forget. The entrance fees go directly towards helping this NGO care for the clams and continue the conservation efforts. Off the coast of Camiguin, you can spot White Island. This small white sandbar sits 1.4 kilometers from the shore surrounded by reef. As the tides shift, the sandbar takes different shapes but always leave a nice runway of sand where you can play. You can hire a boat to take you out there. Spend a couple hours swimming in the warm shallow water, lying on the soft sand, or bring a volley ball to play some games. There is no area for shade or buying drinks, so make sure to bring whatever you need with you. 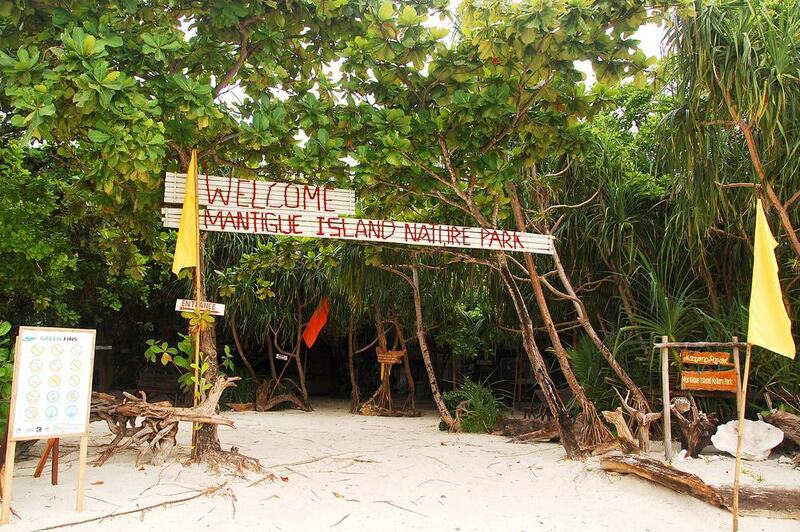 3 kilometers away from the island of Camiguin, is Mantigue Island where you can explore the sandy paths through the jungle or walk down bamboo bridges while keeping an eye out for birds, monkeys and lizards as you go. This island is quite unspoiled as it’s protected by the government. While you’re there, you can hop on a glass bottom boat, which kids really love. It floats over the reefs to give you an up-close view of corals and sea life through the bottom on the boat. 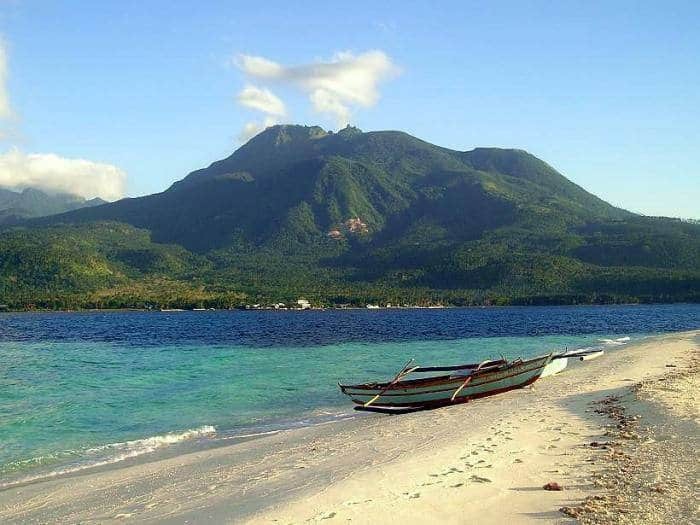 Another stunning element while visiting here are the views of Camiguin Island from afar. You can see the colorful houses and guest houses scattered in the trees, the boats coming in and out of the shore, and the overall outline of the island that is just gorgeous. The eruption of Mt. Vulcan Daan in the 1870’s drove this cemetery filled with the remains of local underwater. 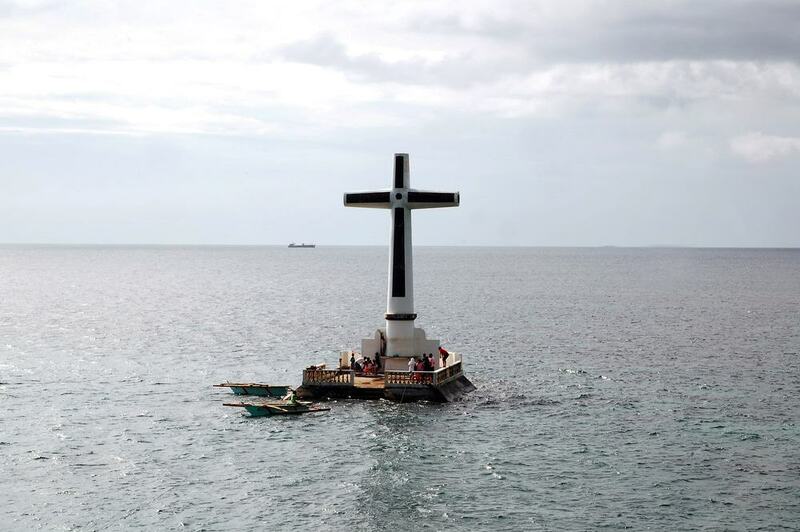 Today, their tombs and skeletons still rest in this spot, marked by a large cross on top of the water. In the afternoon, the water is shallow and makes for the best time to go snorkeling. As you snorkel, you’ll see tombs and crosses covered in moss and feel the eerie ghostly feeling knowing your swimming over skeletons. There are a few schools of fish that have made this area their home and love to feed on the mossy tombs. Take a Jeepney ride up into the jungle and on to a smooth red dirt path on a winding road where you’ll eventually come to Katibawasan Falls. When you step out of the car, you can hear the rushing water immediately. You can enter the jungle down some man made steps towards the falls. 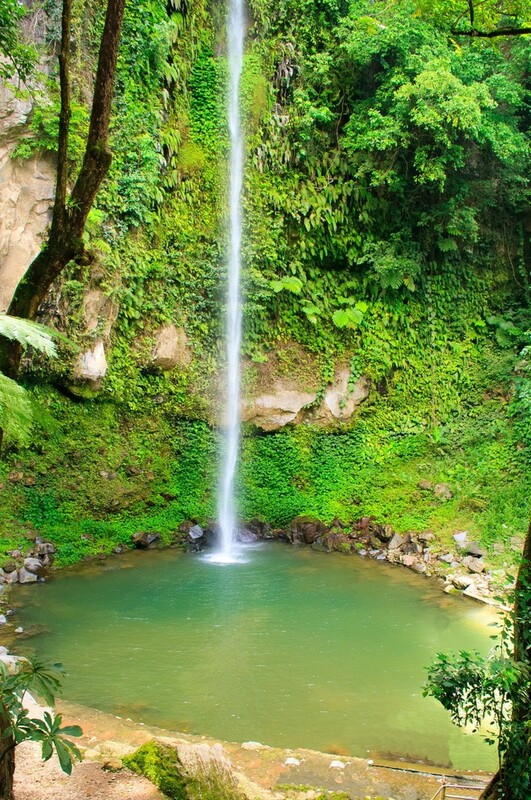 Katibawasan Falls is a beautiful 250ft high waterfall that feeds a clear pool of water where you can swim. You’ll be in awe at the nature that surrounds you with green jungle walls all around. This is the perfect waterfall adventure for anyone who doesn’t want to hike! 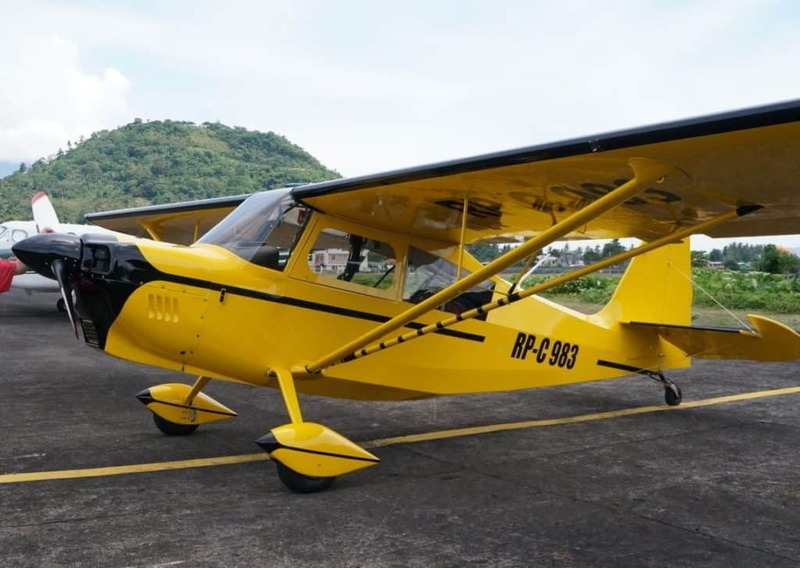 Get a bird’s eye view of the island by hopping in a little Cessna plane at Camiguin Aviation. The professional pilots will take you on the ride of your life all around the island where you’ll Hollywood-film style views. You’ll get up close and personal with the mouth of the volcano, aerial views of offshore islands, and unchartered jungles. Hold on tight as the pilot rolls you around with 7 aerobatic maneuvers that give you a zero gravity feeling you’ll never forget. If you’re lucky enough that your vacation lands during the 3rd week of October, you’ll get to experience the Lanzones Festival. Lanzones are small grape-like tropical fruits that are grown all over the island and beloved by the locals. During this week-long festival, locals dress up in traditional clothing and dance in the streets with loud music, and tons of Lanzones. There’s also a beauty pageant and a cultural show so make sure your camera is ready. Stalls are set up selling handicrafts and souvenirs to commemorate the week.